If you have ever needed to disable comments on an active WordPress blog, you have probably discovered it is easier said than done. While you can turn off commenting for all new posts in WordPress in the “Settings -> Discussion” section, it only applies to new posts and pages, it is not retroactive to old posts and pages that have already been published. So how can you disable comments on older posts and pages? Unfortunately, the way WordPress has it built into the system, you need to go through each post individually to disable commenting… there is no way to do it automatically. You can edit the setting to disable commenting to posts older than X days, but the setting cannot be made to “0” so all posts are disabled. What if you just want to disable comments temporarily across an entire site? Perhaps Akismet is down caussing a ton of spam comments to sneak through or there is a WordPress exploit that is comment based that means you want to disable all comments. Fortunately, there is a plugin that will do it, and you can use it temporarily and simply disable later when you want comments re-enabled. 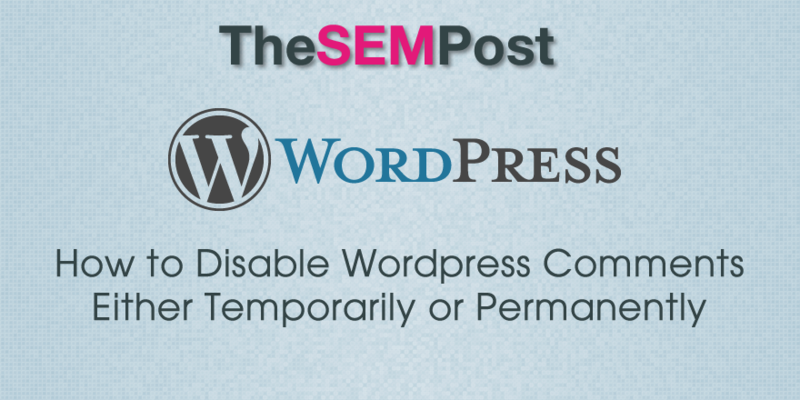 Disable Comments is a free WordPress plugin that allows you to disable comments permanently or temporarily. You can also disable comments only on certain types of content – such as disable on pages but enable on posts and media. It is pretty simple to set up. For temporarily disabling, use the “Everywhere” option. This will disable comments site-wide. If you want to re-enable comments? Simply disable the plugin and you are good to go. 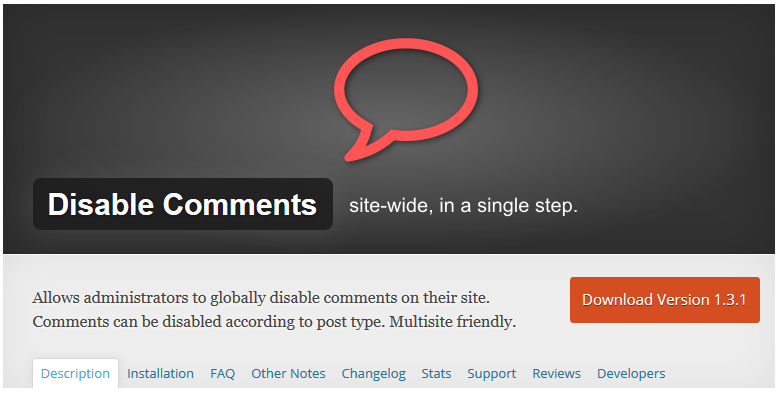 This will also retain all comments made on the site, so once you disable the plugin they will re-appear. Unfortunately, there isn’t an option to still display older comments while disabling comments. If you want to retain the comment menu options still (the everywhere option hides them), you can use the “On certain post types” option. This is a pretty handy plugin if you need to disable comments on a blog quickly, such as when an exploit is found that is not yet fixed or you are being overrun with spam that Akismet isn’t catching.